ULMARRA resident John Leask has criticised Roads and Maritime Services for not taking Ulmarra's plight seriously. 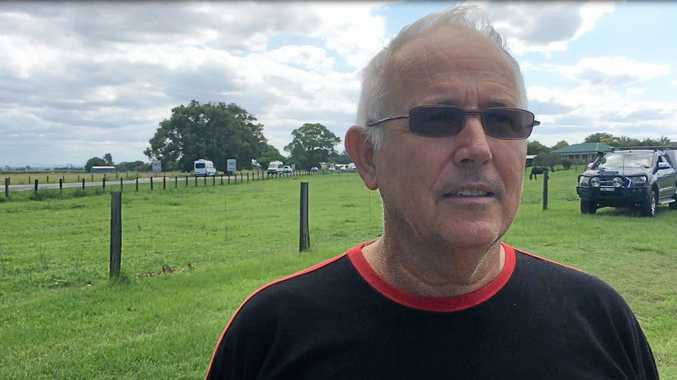 "Ulmarra came very close to being another disaster like Urunga," he said with regard to last week's truck crash. "The damage is done psychologically to this Ulmarra family. They will need lots of care, counselling and love, if they are ever to get over this. RMS is responsible for their distress, as actions could have been taken to avoid this incident." Last month the Roads and Maritime Services extended the 50km/h signs following a "detailed review of the speed zone in response to community concerns" following The Daily Examiner's 'Let's Not Wait' campaign to push for road safety measures. This review included consideration of the road environment, pedestrian activity, driver behaviour, vehicle volumes and historical crash data. While residents welcomed these improvements, Mr Leask said concerns were raised about the reliability of the data used and how it was interpreted. "The RMS collected data at exactly the same time that police patrols were increased in Ulmarra and the same time mobile speed cameras were being used," Mr Leask said. "Common sense would tell anyone that drivers know when this is happening and are mostly on their best behaviour." Mr Leask said the way in which the data was interpreted reinforced the community's concern about a systemic failure of procedures used to determine appropriate safety measures. "Even though it was gathered during a questionable timing, the data actually showed that the 85 percentile of vehicles were doing 74km/h during some time slots. That is 24km/h over the speed limit of 50km/h which means that some vehicles were doing well over that speed," he said. "I fail to understand, that with this data, the RMS didn't act immediately to install a speed camera and take other measures to protect residents of Ulmarra, especially as they knew there was a bad corner in the middle of town that already had a really bad history of accidents. "To me, it was neglect of the worst kind. Waiting for a death to occur."